Shifting is not like daily routine work, it is very tedious and tiring task. Although everyone gets happy to shift to new home but feels tired while making arrangements therefore many of them prefers to hire packing and moving services. But hiring this service does guarantee that you will be tension free as you have to guide them each and everything, they perform everything with your assistance and guidance though they advice you but the final decision is yours. 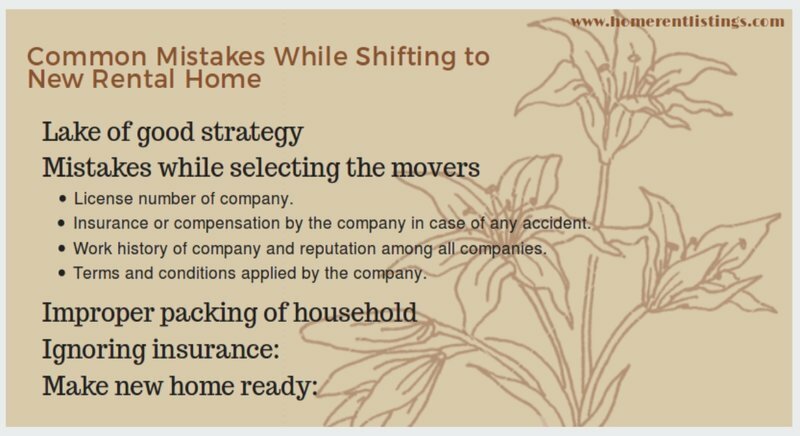 Here we are mentioning some common errors or mistakes, normally a mover overlooks while moving. Most of the movers do not spend good time in making a good strategy for shifting, they take the shifting casually although in case of any pitfalls they repent over there decisions. Changing the locality or home is not an uncertain task which falls upon you without notifying you, you have enough time to plan for the home change. Your very first step should be to decide whether you will do shifting by own or will hire the services of packing and moving, because you will need spare time to search for beneficial and better service. While in case of shifting by own, note down your plan, review the plan, amend the plan and then follow the plan. A few things need to be care of while selecting the movers, but to due lake of knowledge and experience either people ignore these things or even they do not know about the qualities and necessities which should be possessed by every movers and packers. Please jot down the following points, which will surely help you in finding the deserving mover. Insurance or compensation by the company in case of any accident. Work history of company and reputation among all companies. Terms and conditions applied by the company. most of persons leave the packing work at the shifting while packing is the most important and time consuming part of shifting. People should start packings from the time when the shifting is decided although in case of “shifting by company” the company does the packing but when you are doing by own, you should not wait. While packing keep the following points in mind. Before moving check the packing of all household that the packing is proper and not loose. Use light but strong material to pack the things. Keep the costly and fragile things like electronic items and jewelery at different place then other items. Although when you hire movers, they provide you insurance for any accident or lacking in their service. But in other condition, you should get home items insured by a reputed company in order to save yourself from any contingency. Before leaving old home and moving towards new home, make your new home ready for shifting. You should clean new home and decide the place to keep items of old home. Your view should be clear about arrangements so that you can suffice the shifting in less time. Otherwise things will be helter-skelter in the house which will not let you take a sigh of relief. Although everyone makes plan for shifting but some people could not pay attention on some important aspects due to any reasons which may turn into bad experience.. So to avoid such conditions, one should take care of at least these 5 mistakes to not them happen.